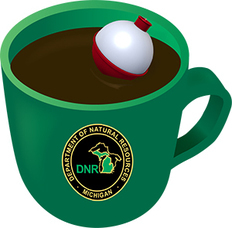 Those interested in discussing local and statewide fisheries management activities with Michigan Department of Natural Resources staff are encouraged to stop by one of several upcoming “Conversations & Coffee” events taking place around the state this spring. The DNR Fisheries Division has hosted “Conversations & Coffee” the past few years to give people an opportunity to meet with managers and biologists, discuss local issues and management activities, and get specific questions answered. These meetings are extremely informal; at many of the meetings no formal presentations will be made. Information on local and statewide regulation changes affecting anglers also will be made available at these meetings. Refreshments will be provided. Tuesday, March 27, 6 to 8 p.m. at Loomis Lodge, 142 Croton Drive, Newaygo. Wednesday, March 28, 6 to 8 p.m. (CST) at Bay College West Campus (room 231-A), 2801 U.S. 2, Iron Mountain. Thursday, March 29, 6 to 8 p.m. at Bay City College (Room 961 – Joseph Heirman University Center), 2001 N. Lincoln Road, Escanaba. Tuesday, April 3, 6 to 7:30 p.m. at Tahquamenon Area Public Library, 7000 Newberry Ave., Newberry. Thursday, April 5, 6 to 7:30 p.m. at Holiday Inn Express Munising-Lakeview, E8890 M-28, Munising. Monday, April 9, 6:30 to 8 p.m. at Southwestern Michigan College (Fred L. Mathews Conference Center – West), 58900 Cherry Grove Road, Dowagiac. Thursday, April 12, 6:30 to 8 p.m. at Pierce Cedar Creek Institute, 701 W. Cloverdale Road, Hastings. Monday, April 9, 6 to 7:30 p.m. at the American Legion Post No. 4, 401 Groesbeck Highway, Mt. Clemens. Monday, April 16, 6 to 7:30 p.m. at Tecumseh District Library, 215 N. Ottawa St., Tecumseh. Tuesday, April 10, 6 to 8 p.m. (CST) at Gogebic Community College, E. 4946 Jackson Road, Ironwood. Wednesday, April 11, 7 to 9 p.m. at Ishpeming Township Hall, 1575 U.S. 41, Ishpeming. Thursday, April 12, 7 to 9 p.m. at Portage Lake District Library, 58 Huron St., Houghton. Tuesday, April 10, 6 to 8 p.m. at Tuscarora Township Hall, 3546 S. Straits Highway, Indian River. Monday, April 16, 6 to 8 p.m. at Lake Superior State University, Sault Ste. Marie (specific location to be determined). Monday, April 30, 6 to 8 p.m. at Bay City State Recreation Area Visitors Center, 3582 State Park Drive, Bay City. For more information on these meetings, visit michigan.gov/fishing.